I was like most young college kids at 22. I just wanted to drink, party and meet girls. Then one summer night I went to bed late after a night hanging with some friends only to wake up with my world turned upside down. I woke up disoriented, stumbling around, my balance was off and my vision blurred. I panicked and rushed to the emergency room. After a number of tests and pokes with needles, I was told I had multiple sclerosis. I didn’t really know how to comprehend this terrible news. I thought it was a death sentence. Doctors told me I would no longer be able to work on cars or stay out in the heat and had me start taking medication. I gave up all dreams, goals. I threw my entire future out the window. This was not the life I had once envisioned myself living. I was given medication after medication, and nothing was helping. I was getting worse with every passing day. I began to feel more depressed, watching my old classmates starting their careers. Everything all changed when my little brother Jeff, came down from Oklahoma. He plays football for Oklahoma Baptist University and has a rigorous weight training regimen. He accompanied me to one of my doctor visits, to help find out what we could do about my legs because they were in a constant pain, and the medication I was taking was not helping. As I questioned the doctor, my brother watched him search the Internet for what medication he could give me next. When we left my brother informed me of what he had witnessed and said “that’s it, let’s do it my way now.” I went home, got rid of my medication and got my first gym membership. I spent hours studying workouts and nutrition. I was hooked – the iron bug had bitten me. Within months of working out and eating healthy, I had full function of my body with no pain, and I feel better than I ever have in my life! I have been symptom-free for three years. I constantly encourage others to push themselves past what they perceive as their limits. The skinny 115-pound guy that had once given up was no more. I bulked to 160 pounds, ripped from head to toe and have been setting goals more often now than I ever have before. Always remember to never to give up and never quit. It is truly not an option. You are capable of doing anything you set your mind to. If I, the kid that was once in a wheelchair, did it. you can, too! 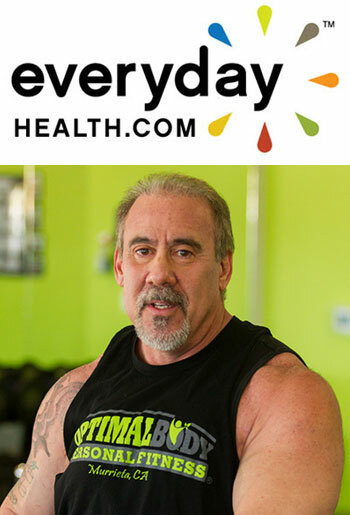 David Lyons: Why did you decide to enter a fitness competition? Kevin Smith: When I started working out and getting more into the fitness and body building world. I started looking at the shows and wondering if I could do that. I then changed that wondering into a goal to compete in men’s physique. I haven’t yet decided on a show just yet. I feel I have a bit further to go before I feel I’m ready. DL: How difficult is it to train with MS? KS: In the beginning it was hard, fighting the MS fatigue. I learned taking supplements like a pre-workout drink gave me the extra energy that helps fight the fatigue MS gives me. KS: I work out fast and intense. Most people that ask to workout with me last a day and never come back, quit early or vomit. I put my headphones in, and I tune out the world. KS: I eat very clean, mostly raw fruits, veggies, chicken and fish. I limit the red meat I eat, and I do not eat pork. I do not eat fast food or drink any soda. I live by this mantra – If the food has a commercial on TV it’s not safe to eat. DL: What do your friends and family think about this road to fitness you have chosen with MS? KS: At first most thought I was crazy for taking the leap of faith and going on the path I’ve taken, but now I have everyone’s full support. KS: I didn’t know much about the MS Fitness Challenge till a Facebook friend, Dyan Summers, introduced me to David Lyons. From there I got on the website and started reading and watching the videos to learn more about it. I believe it’s a great thing and an incredible idea. I am 100 percent behind the MSFC cause now. DL: What are your future goals in fitness? KS: I hope to one day inspire and help all that have MS, to let them know there is a better life than what we all envisioned the day we were told we have MS.
KS: You have MS, don’t let it have you. Your mind is a powerful thing, use it, and study what you put in your body. It can change your life! Lunch – 2 turkey sandwiches on whole wheat bread with light mayo with a whole avocado, 1 cup fruit, 1 cup vegetable and 2 cups of brown rice, 2 bananas. For more healthy options make the sandwich into a wrap with kale or romaine lettuce or substitute tuna for turkey with spinach. Mix variations of fruits and vegetables. Greens are your best friend; kale, spinach, broccoli etc. and avocados are a SUPER food! With fruits the brighter the color the better. Some of my favorites are black or red grapes, mango, kiwi, pineapple and raspberries. Chicken and fish are the best source for protein, limit red meat dramatically. Go for fresh fruits, vegetables and meats! HYDRATE, HYDRATE, HYDRATE. Water should also be your best friend. Before I hit the iron I start my workout with 15 mins of hitting the speed bag, followed by 10 mins with the jump rope to get my blood pumping and the pre-workout fully kicking in. My workouts are in no order. I rotate all muscle groups every week to keep it new and not repetitive. I enjoy being sore from the changed up muscle group order as that makes it much more effective for me.